A perfect gift to convey your love and put a smile on the faces of all your loved ones! 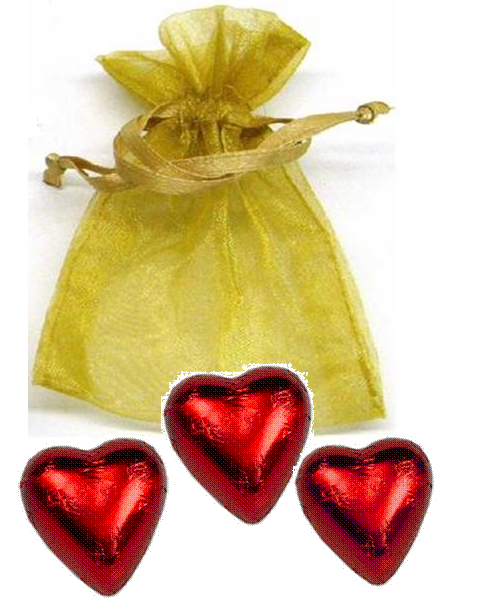 Everyone is sure to love receiving 3 of our scrumptious chocolate hearts beautifully foiled and packaged in a delicate Organza bag (measuring 3” x 4”). You can pick the color of the hearts and the bag.